passed away peacefully into the arms of her beloved husband Jack on March 15, 2019. She was also predeceased by her daughter and son in law Jan and Stan Jakubowicz; son in law Harry Waller; granddaughter Courtney; brother in law Irvin H. Schick. She is survived by daughter Darlene; daughter and son in law Shirley and Russ Oberther; grandchildren Michael Jakubowicz, Marcus (Chantika) Waller; Alisha (EJ) Waller, Joshua (Kiara) Waller; great grandchildren Taylar Jakubowicz, Zi’Tise Waller, Marcus Waller Jr., Kamar Boatman, Jr.; Brandon and Cody Jakubowicz; great granddaughter Abigail; sister in law Marjorie Schick; niece Carolyn Schick. 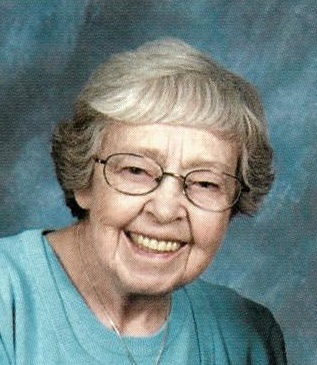 Marion was an active member of Boulevard United Methodist Church for over 70 years whether helping with rummage sales, working the food pantry or starting the Young Adults group. She was also very involved within the community. Marion served different offices within the United Methodist Women, the Monday Afternoon Club, the AAUM, Girl Scouts and also the Broome County Council of Churches. While at the Broome County Council of Churches, she worked to co-found the CHOW program. Later in life, Marion would give her time volunteering at Hilltop and St. Louise Manor. When she was not giving of her time to the community, she was spending her time with her family. They enjoyed traveling to the Adirondacks, Hawaii, and many other places in the United States. She loved hiking and canoeing, was an excellent seamstress making all the kids Halloween costumes. The family loved gathering at her house for many special occasions, but especially Thanksgiving so they could have her pink applesauce and special green Jell-O. Most of all, she was a kind and loving mother who will be dearly missed. A Funeral Service will be held on Friday, at 11:00am, at the Barber Memorial Home, Inc., 428 Main St, Johnson City. Burial will be in Vestal Hills Memorial Park. The family will receive friends on Friday, from 10:00am until the time of the service at Barber Memorial Home. In lieu of flowers, donations can be made in Marion’s memory to CHOW, 3 Otseningo Street, Binghamton, NY 13903 or Boulevard United Methodist Church, 113 Grand Boulevard, Binghamton, NY 13905.